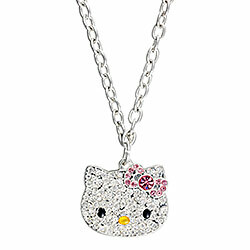 't Is mighty cute :-) Kitty bling bling, you never outgrow that! I will still wear it, just wish it was as nice as the kitty.. I have a nice Hello Kitty Necklace and the chain is soooo cheap. I still wear it and I am a fully functioning adult LOL. But agree with you. But I still Love it.